Where else would you expect a biological child of the legendary artist, Diana Ross, to end up but in the entertainment industry? More than being an actress building a noble career in Hollywood, Rhonda Ross Kendrick is a singer, songwriter, producer, public speaker, and a businesswoman. There are quite a lot of things worth knowing about this daughter of Diana. From her age and early life to her career exploits, siblings, husband, and parents, the following are the facts of Rhonda Ross Kendrick’s life. Her given name at birth is Rhonda Suzanne Silberstein. She is an American national born in LA, California on the 14th of August 1971. Rhonda is of African-American ethnicity, she is the eldest of four half-siblings from her mother’s side whom she grew up with in California. During her formative years, Rhonda exhibited a lot of interest in the entertainment industry. Although details of her early education are hard to come by, it is known that she obtained her university degree from Brown University located in Providence, Rhode Island, just like her half-sister Tracee Ellis Ross. Rhonda Ross Kendrick has distinguished herself with her roles in movies and TV series like The Temptation in 1998 and The Personal which came the following year in 1999. Rhonda’s most famous acting credit was accomplished on the set of Another World where she portrayed the character of Toni Burrell from 1997 to 1999. Her role in Another World earned her a 1998 Daytime Emmy Award nomination. Before coming unto the acting scene, she was known and celebrated as a singer. 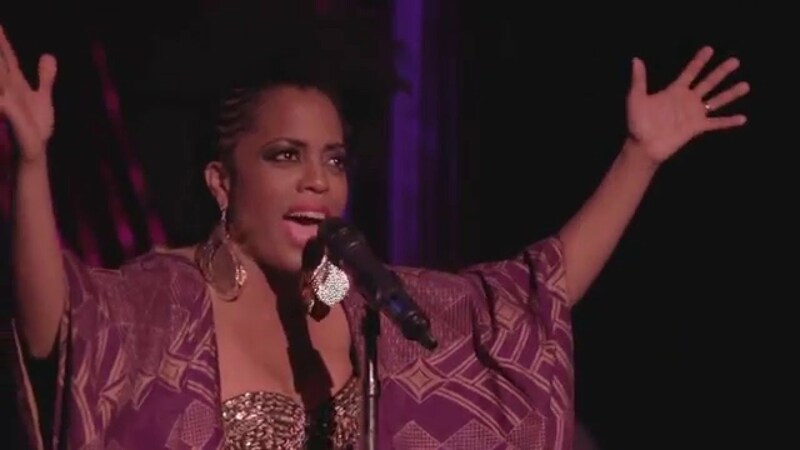 Her first live album titled Rhonda Ross Life wherein she featured her spouse Rodney Kendrick came to life in 2004. Rhonda joined her mum in 2013’s In the Name of Love Tour which served as an opening act for her own concerts. A couple of years ago (2016), her debut studio album titled In Case You Didn’t Know came into existence with hit singles like In Case You Didn’t Know and Summer Day. Rhonda Ross Kendrick is also an accomplished businesswoman. In 2008, she founded a real estate brokerage firm known as Ross Realty International. One can conveniently surmise that the American singer, actress, and producer is earning a healthy annual income though the exact amount is yet to be made public. While there are serious reasons for us to conclude that the value of her wealth is not known, some sources have taken the initiative to peg it at a tidy $3 million. It is important to note here that Rhonda Ross Kendrick is also a competent businesswoman. Beyond what she pockets from her entertainment endeavors, the earnings from her business interests have also contributed to her riches. Read Also: Who Is Lauren Holly, Why Did She Leave NCIS, What Is Her Net Worth? Rhonda Ross Kendrick is a wife and a mother. She has been living a connubial life with her lifelong partner Rodney Kendrick, a popular jazz musician. The two have been married since 1996 when they tied the nuptial knot in a wedding ceremony witnessed by family and friends on the 13th of September. The duo dated for several years before the commencement of their matrimonial life and have been growing closer to each other as the years roll by. On the 7th of August 2009, their union was blessed with the birth of their son Raif-Henok Emmanuel Kendrick. Even though it has always been a common knowledge that Rhonda’s mother is the legendary singer and actress Diana Ross, the issue of the identity of her biological father was only cleared up when she was 13 years old. When Rhonda was born, her mum was already married to her first spouse Robert Ellis Silberstein, a renowned American Music executive. Rhonda regarded Robert as her father but by the time she embraced her teen years, she was told that her biological dad is Berry Gordy – the founder of Motown Records. The news came as a relief for Rhonda who was already suspicious about her identity. Rhonda Ross Kendrick is the oldest child of Diana Ross. From her mum’s side, she has four younger half-siblings – Chudney Ross, Ross Naess, Tracee Ellis Ross, and Evan Ross. Rhonda also has seven other half-siblings from her dad’s side, including Kerry Gordy and Stefan Gordy. The entertainer is Gordy’s seventh biological child.